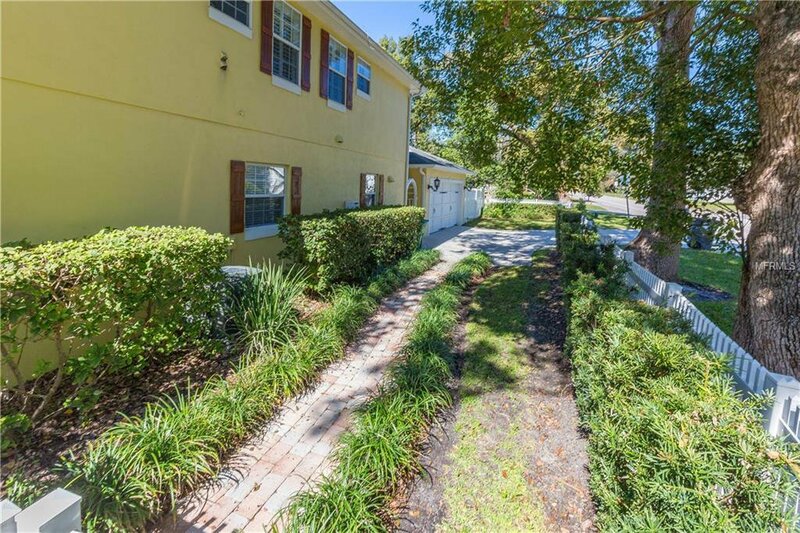 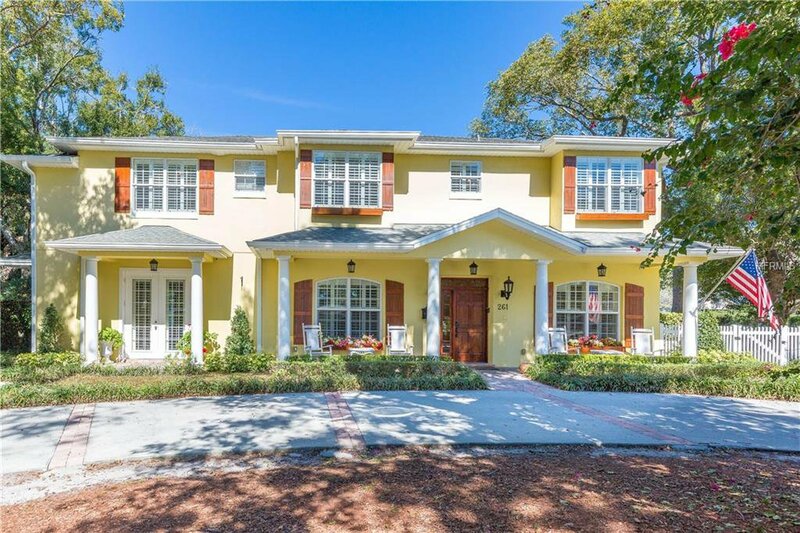 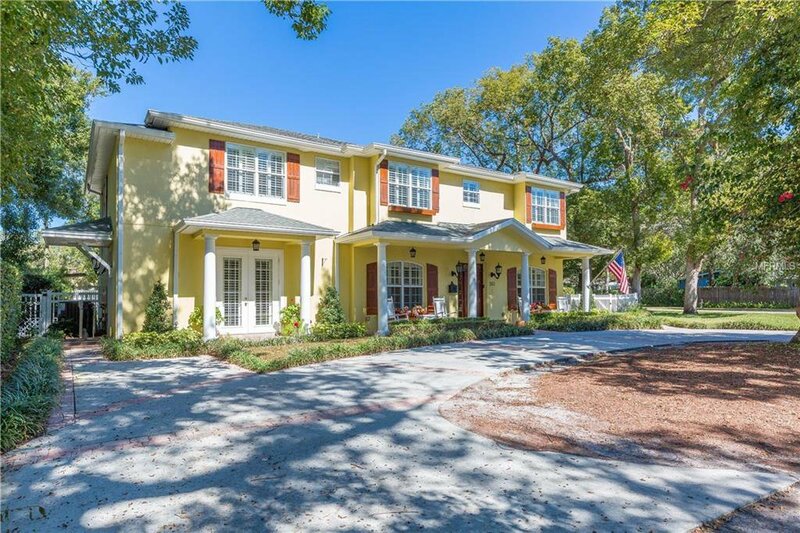 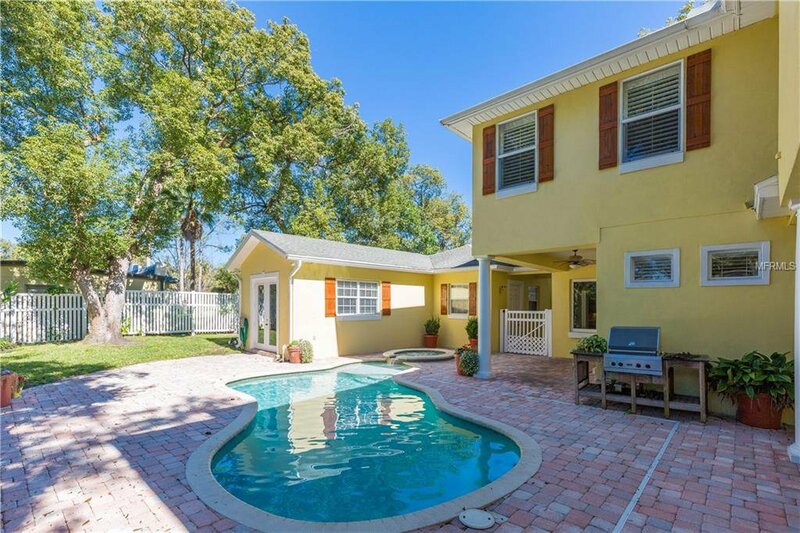 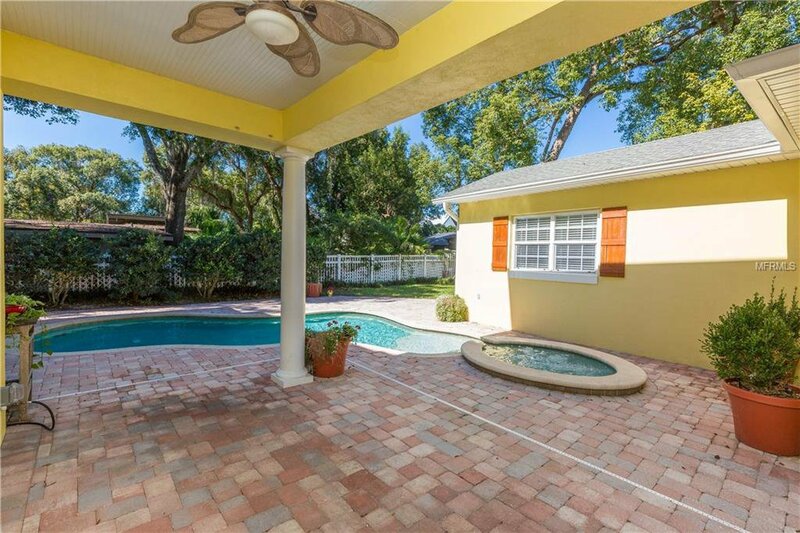 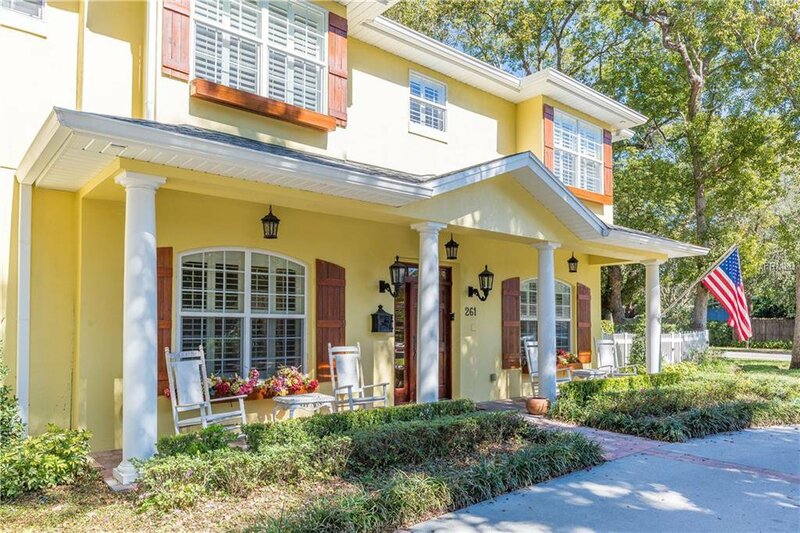 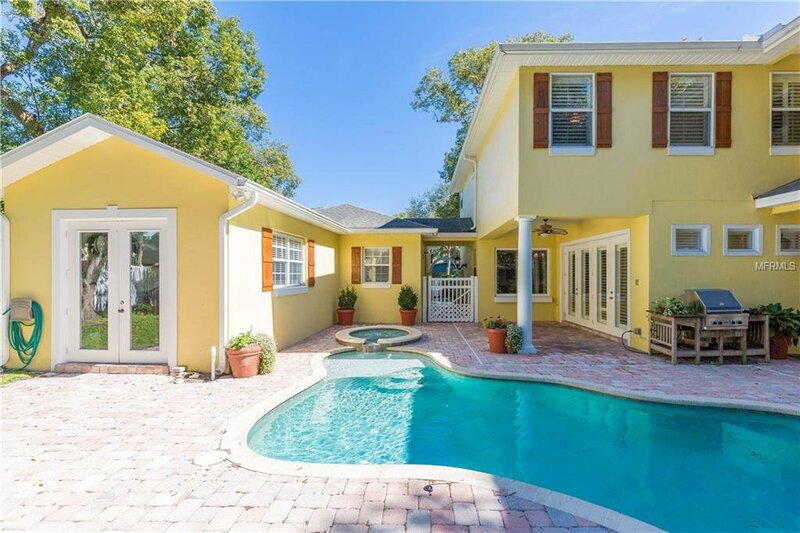 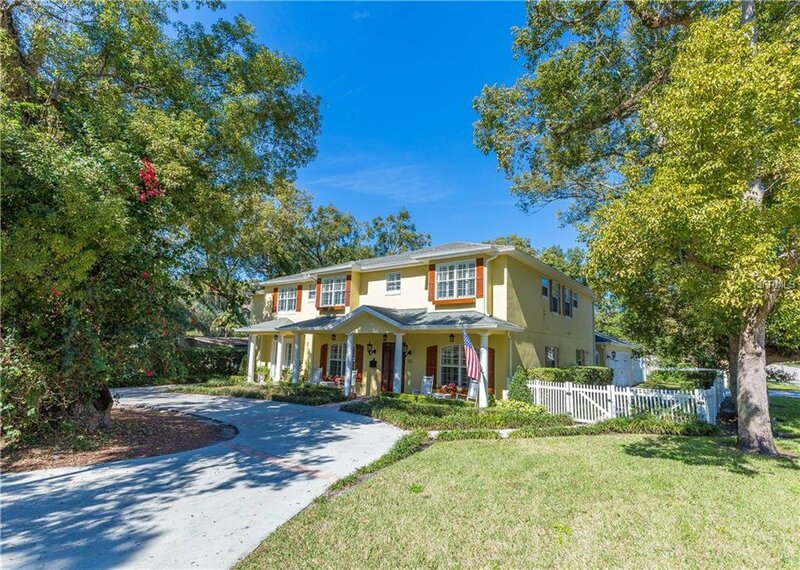 Considered one of Winter Park’s quaintest streets, this spacious two-story five bedroom home, plus an In-Law suite offers a versatile floor plan to fulfill every family's wishes and dreams. 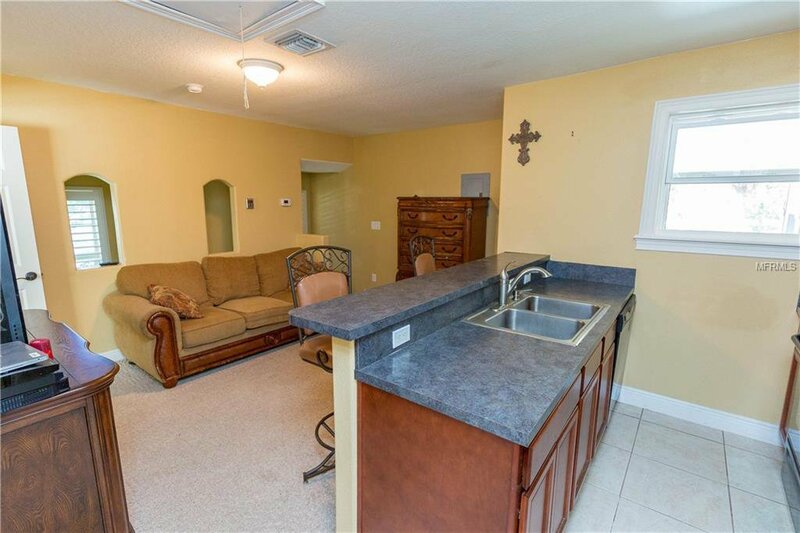 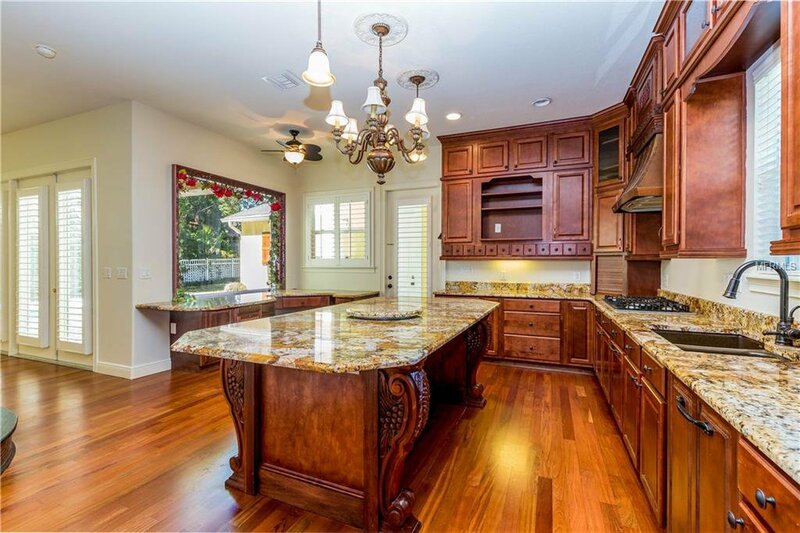 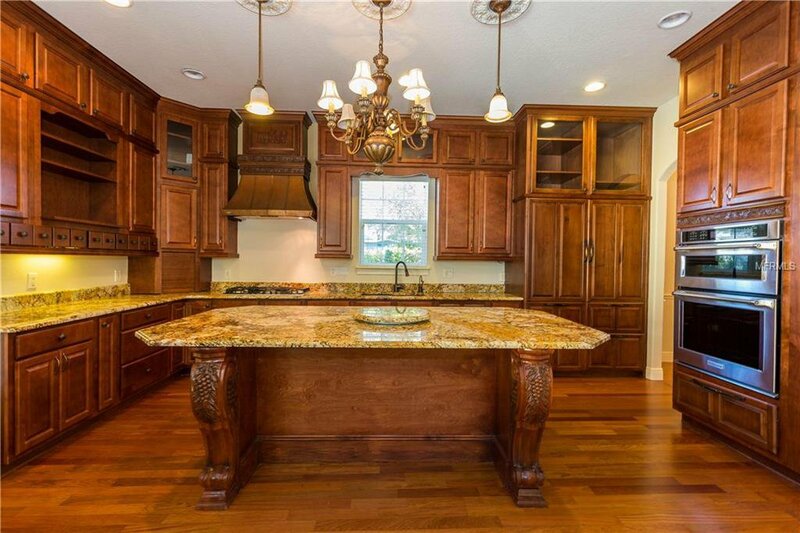 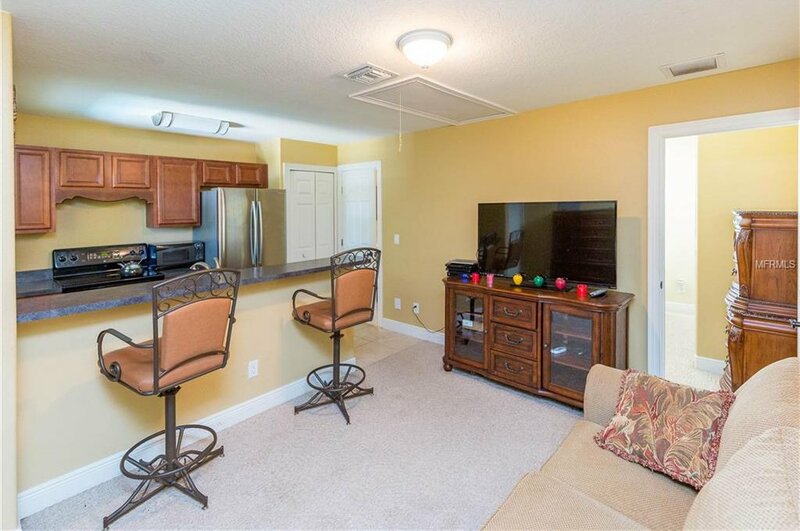 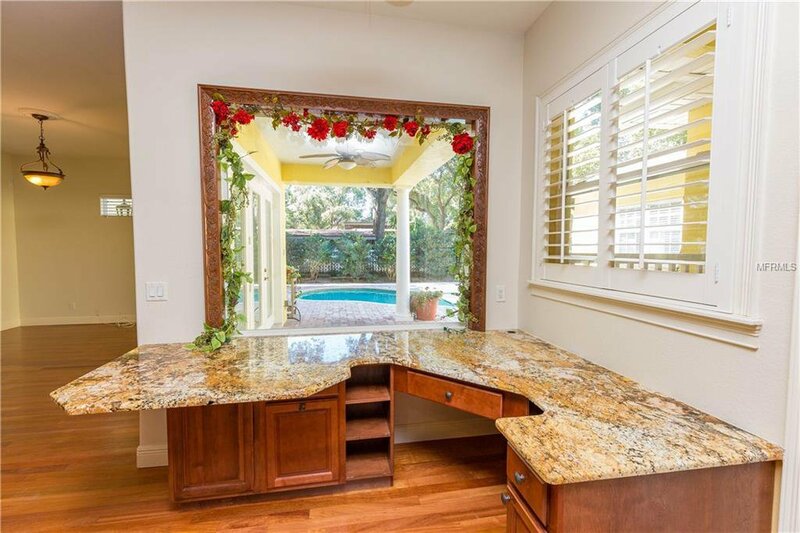 Gourmet kitchen with beautiful granite counters, custom cabinetry, natural gas range, stainless steel appliances and built-in desk overlooking the pool. 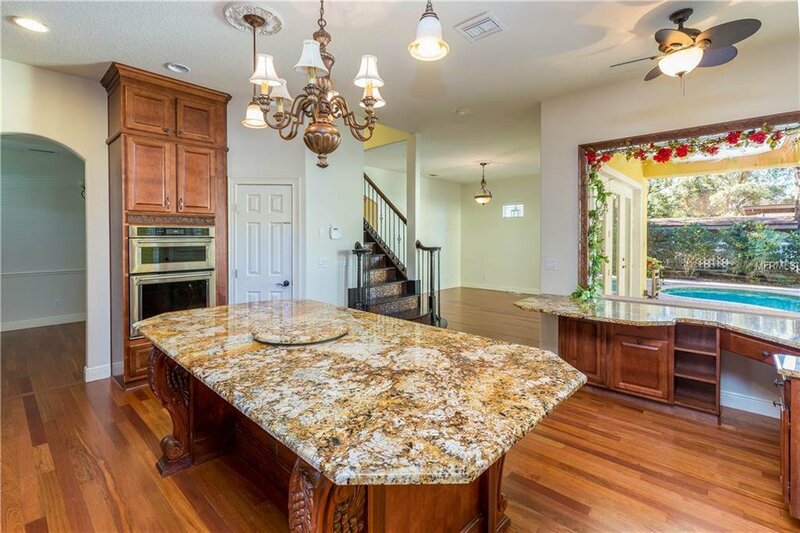 Friends and family will certainly enjoy gathering for meals and good conversations around the extra-large kitchen island. 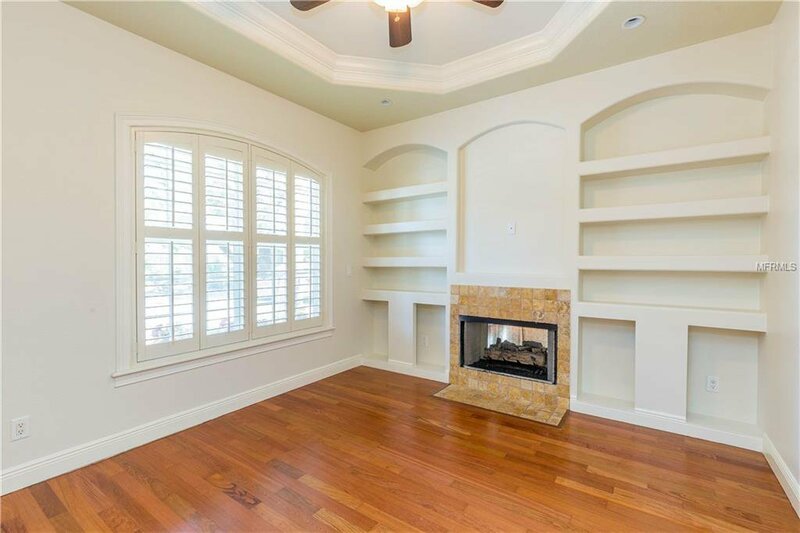 Open family room off the kitchen or gather in the oversized Florida room with dual sided gas fireplace and private dining room. 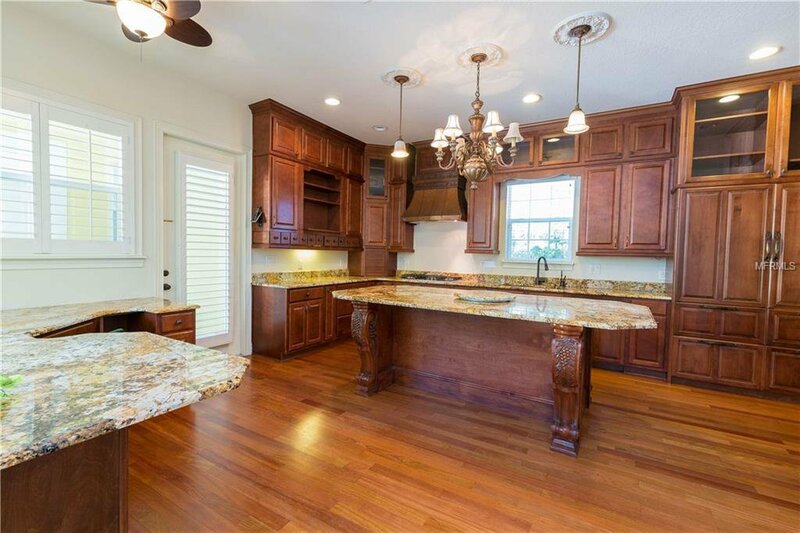 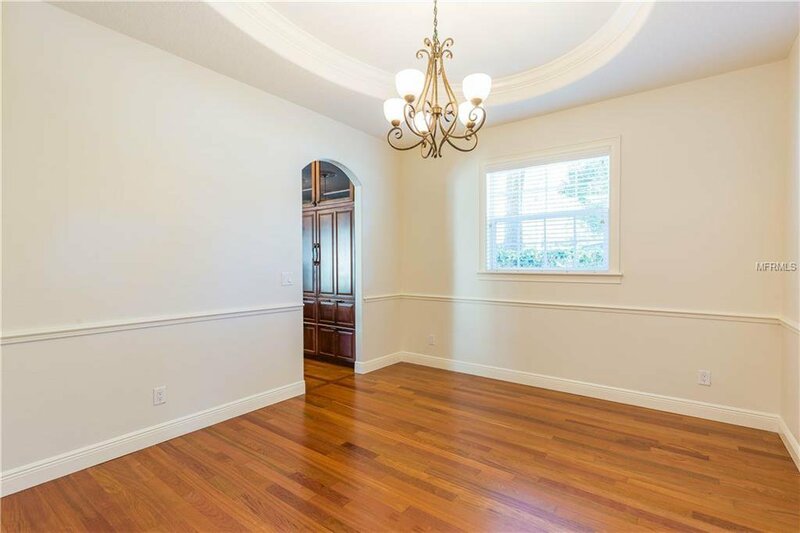 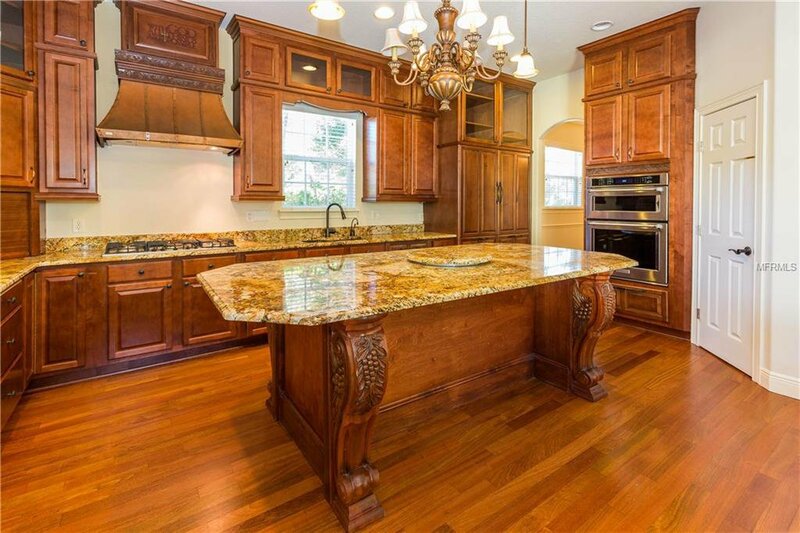 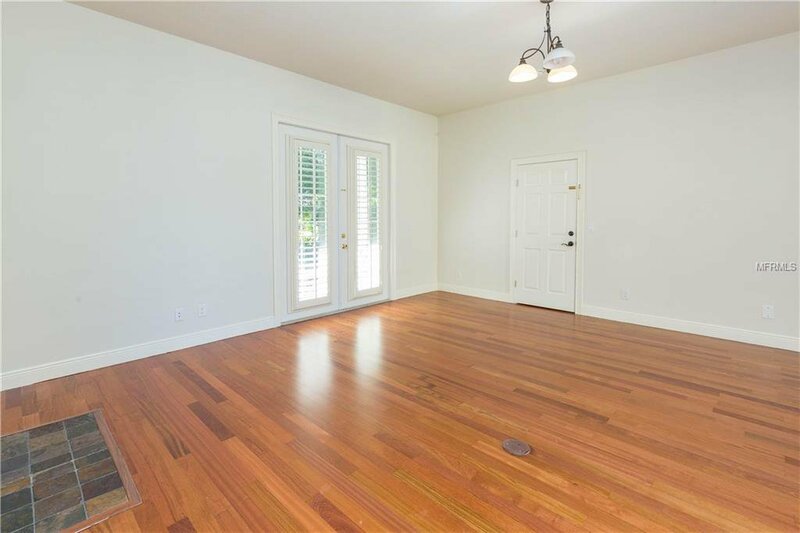 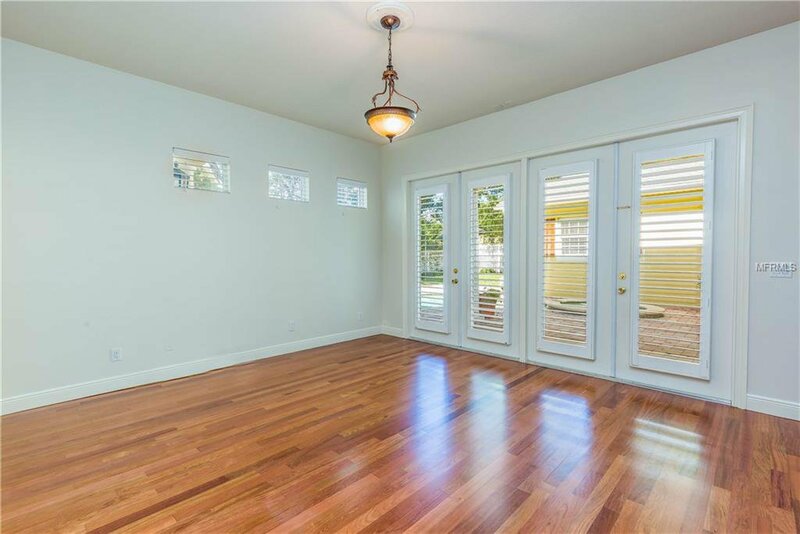 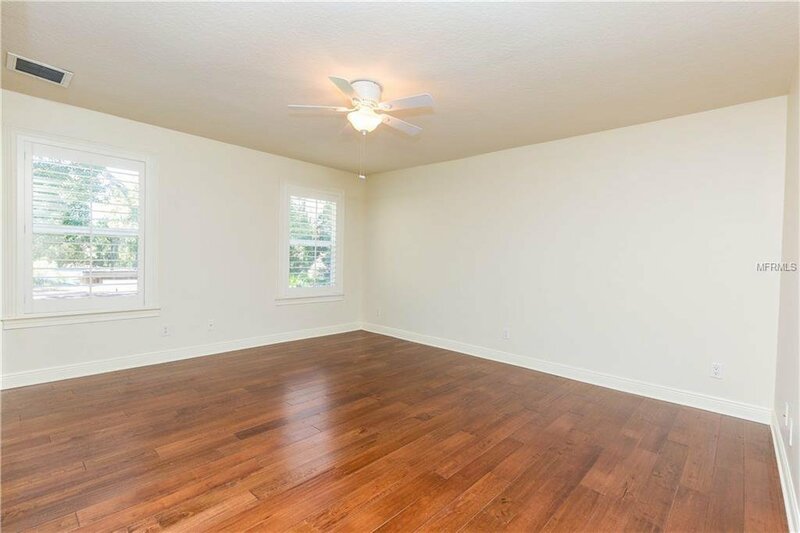 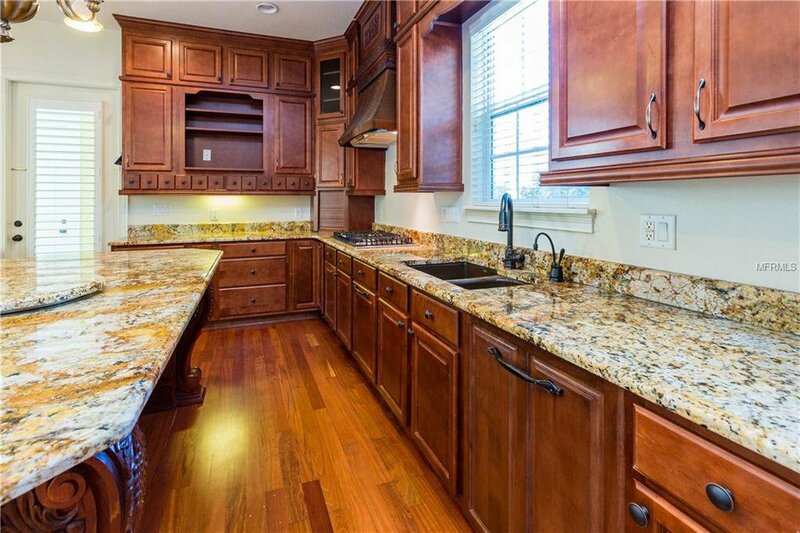 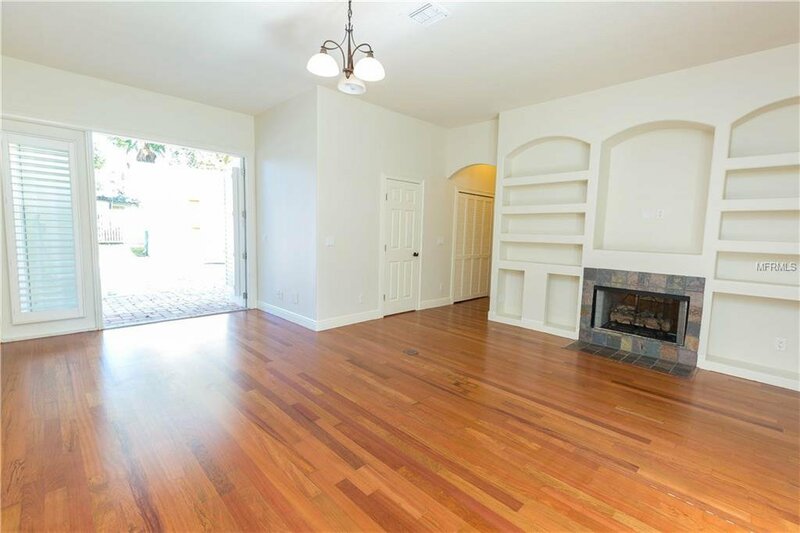 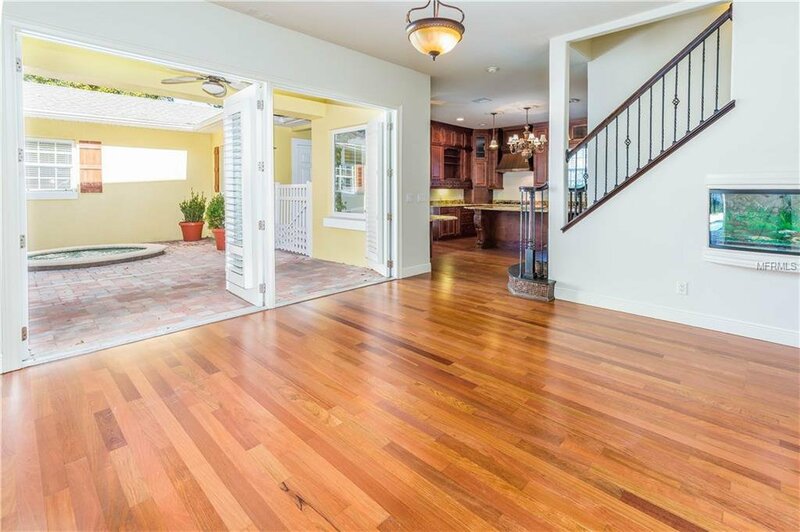 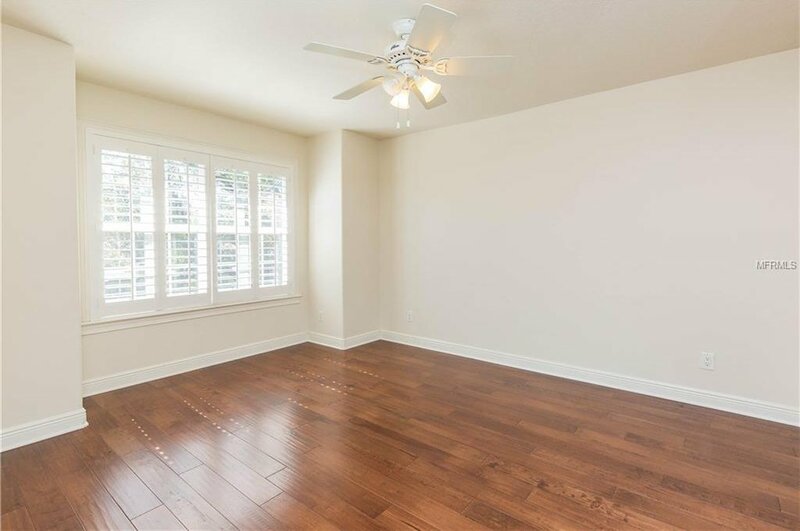 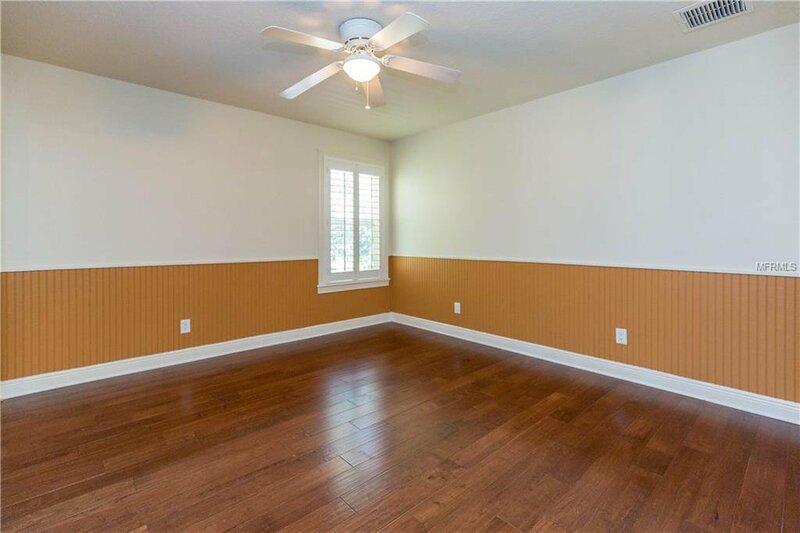 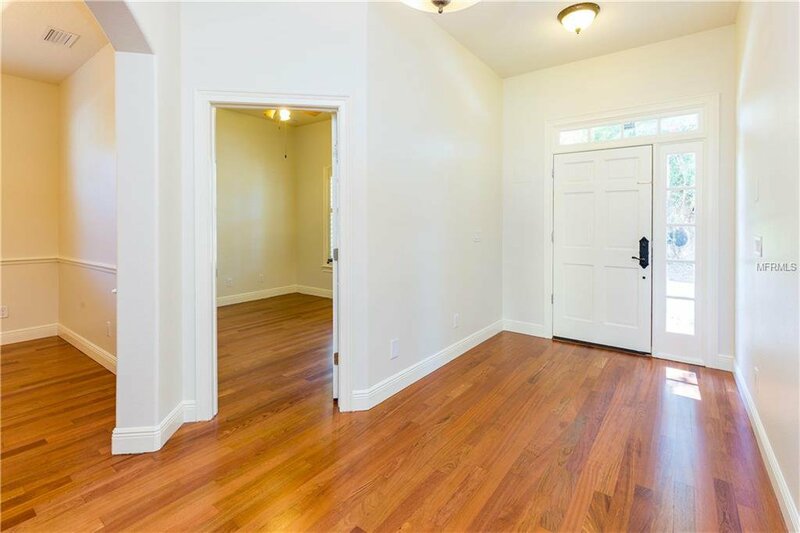 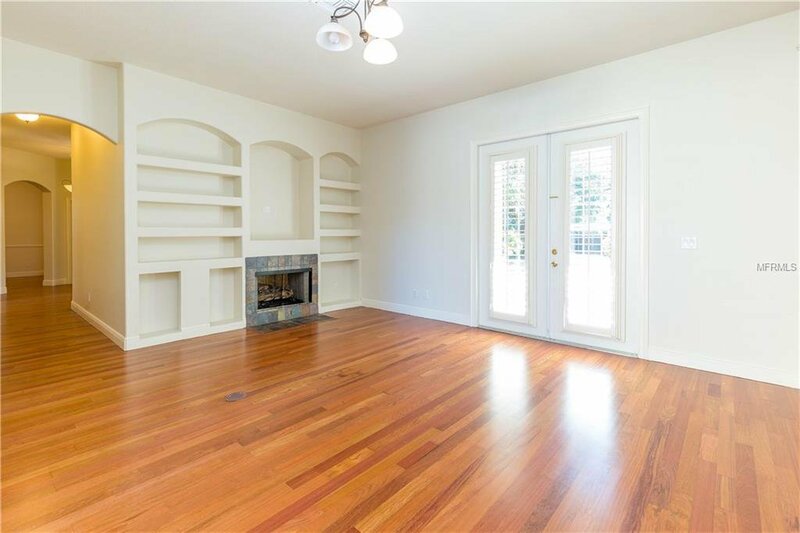 The entire home is accented with beautiful wood floors throughout. 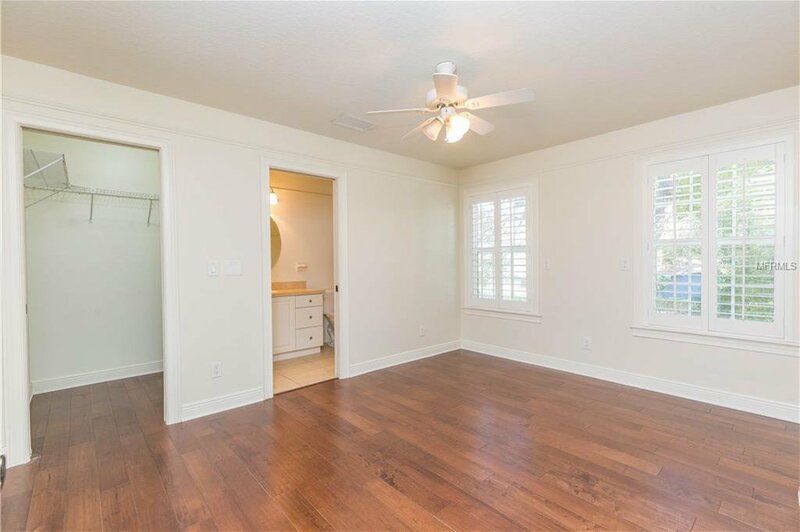 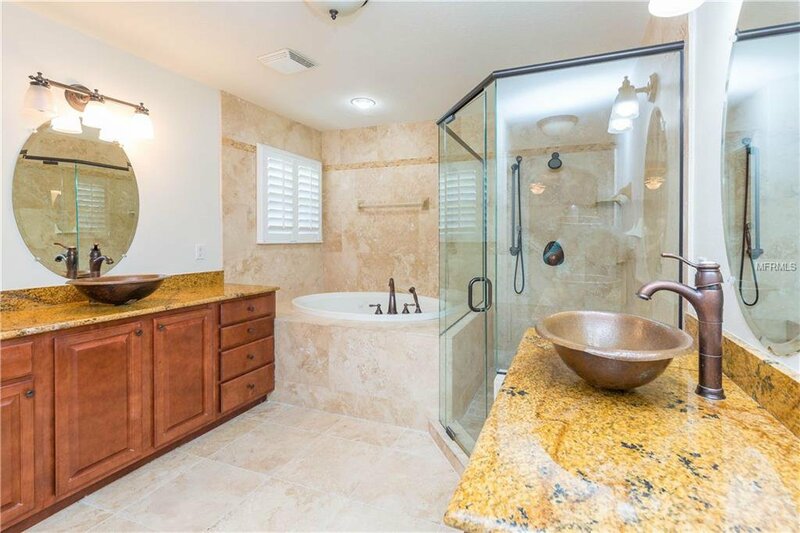 Master suite which offers a walk-in closet, dual sinks, separate shower, and garden tub; an en-suite bedroom, three additional bedrooms and utility room complete the second story. 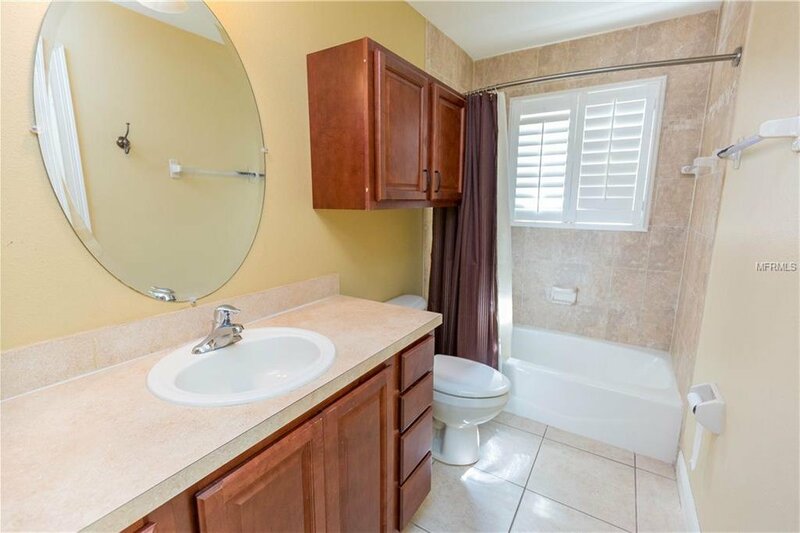 A true In-Law suite gives the occupant a private entrance, family room, kitchenette, bedroom, and full bath. 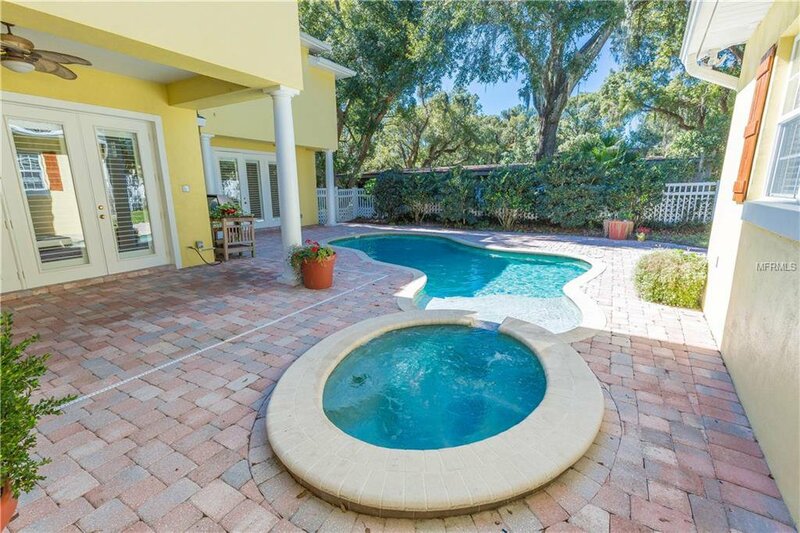 Custom pavers were used to enhance the covered patio and pool deck, pool complete with inviting heated spa. 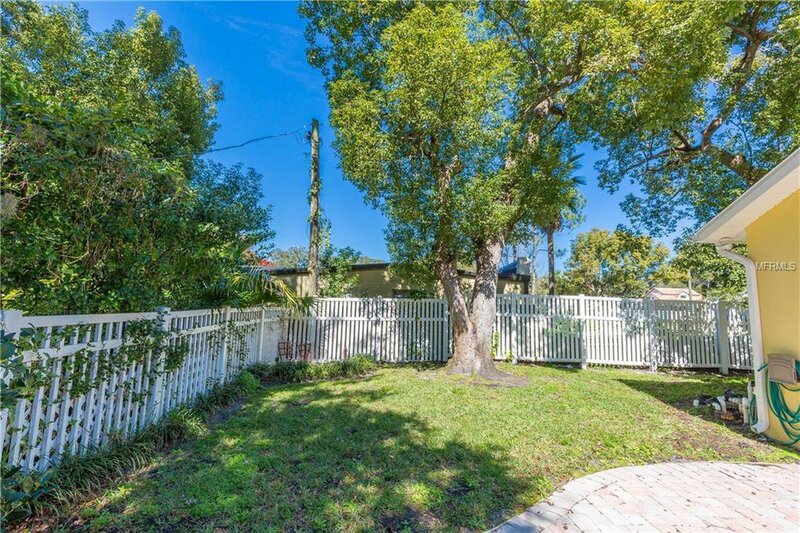 Zoned for the new and exciting Audubon K-8 school and Winter Park High School.